Flaunt this stylish fully stainless steel strap black dial watch from the House of Titan on your wrist, and see yourself floor the world. 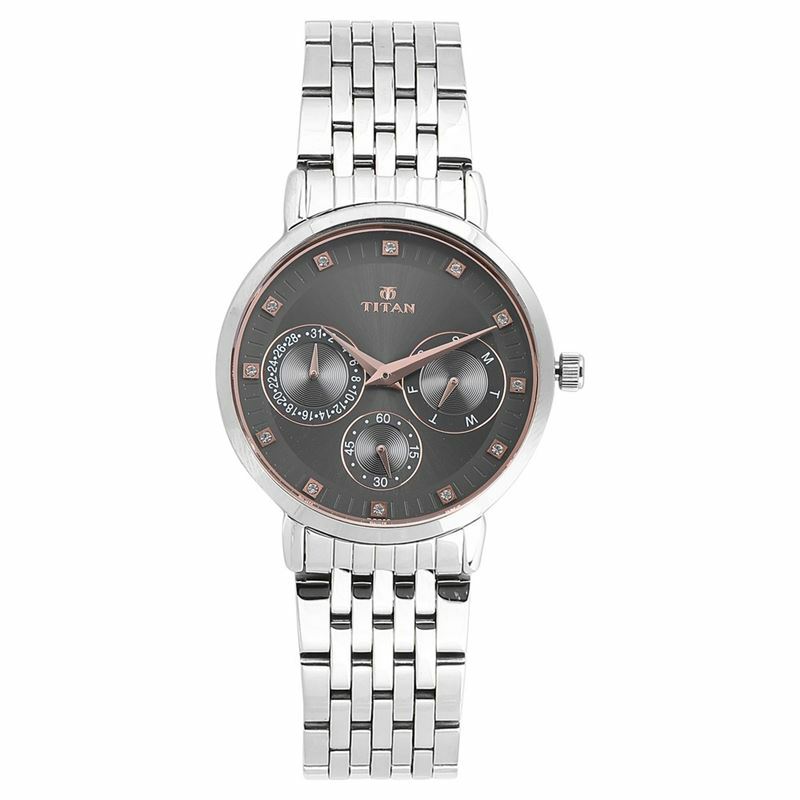 Eulogizing the trendy lady of today, this multifunction watch signals the date, day, time and seconds on its modish black dial base, with 12 glistening stones to signal each of the hours and rose gold hands set against an anthracite backdrop. You will marvel at the quartz analog precision of this ravishing time piece. Its 5 ATM water resistance, round mineral glass case with contemporary touch and a two-year warranty, and its stunning elegance turn you into a trendsetter.